This is the second episode, where Marta Rodriguez-Karpowicz has been abandoned by her co-host Anna Niescieruk and had to host You’ve Got 5 Options show all be herself! 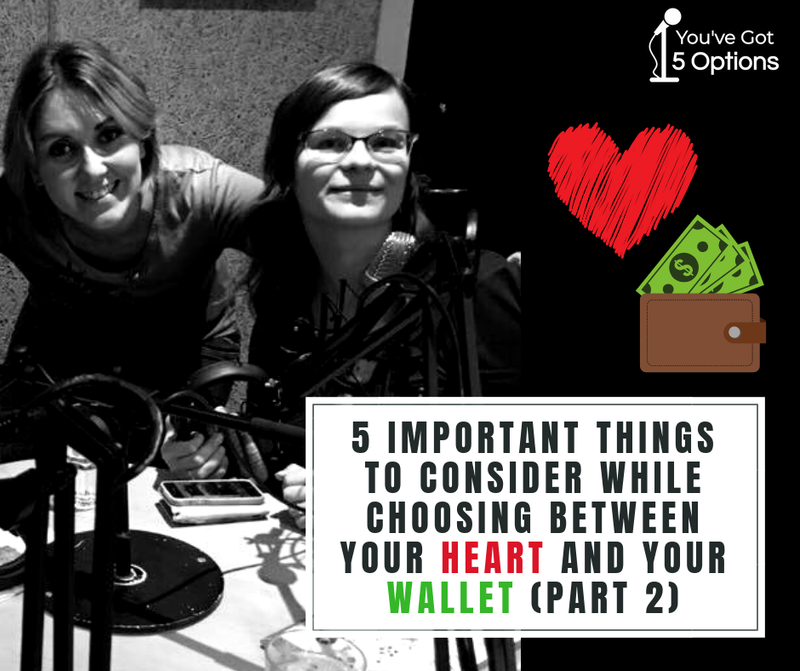 This is the second part of the show, where Marta invited to the studio Edyta Gromacka to discuss an ageless topic: “Heart or Wallet?” Edyta is known as a one-woman-army and believe us - she is! Full of energy and with a natural knack for networking and connecting people, Edyta is a video journalist at TV Media House in Aarhus. She works both in front and behind the camera as an interviewer, editor and producer. In her free time she is working as a freelancer (social campaigns, music & weddings video) and always looking forward to get involved in another exciting project. She’s passionate about digital world and putting all of her heart in everything she does - including being a mom to 5 years old twins and 18 years old Mathias. How to find a silver lining in a job that you do “just for the money”? and what are the “pros” of following the wallet (except the wallet)? What would ladies advice to their children - follow their heart or get a “proper education”? How to balance your day job and side-hustle and why should you spend a good amount of time to prepare for your “jump” into the dream?